The national park I?ve visited the most is clearly Yosemite National Park. I estimate I?ve been to this park about 25 times in the past 12 years. Its nearby, a scant 180 miles, and seems to have a near endless list of things to do and see. 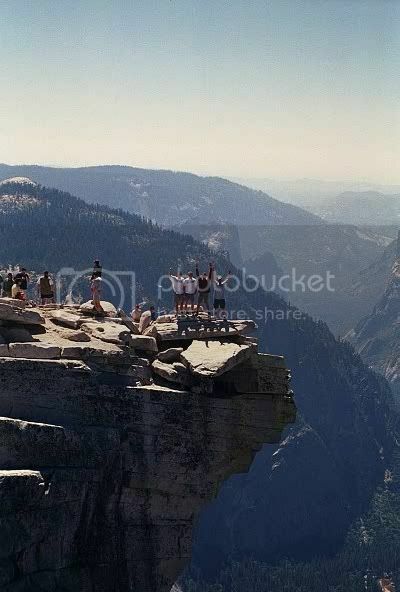 8 of those visits have been part of the Annual Yosemite Trip, a group outing of about 10-25 people going back to 2000. The most recent annual trip was this past May, and pictures from each trip are listed in the photo album section of this website. The event started out as a trip to Yosemite for a few friends, and the date happened to coincide with Mothers? Day, so for a while it was the annual Mothers Day Trip. This is fine, however booking Yosemite campsites has to be done at least 4-5 months in advance, and Mothers Day weekend wasn?t always available. In 2005, Vince and Ana decided to get married in Spain during what would ordinarily be the trip weekend, so I moved the event back to July and a good time was had by all. Today the trip coincides with no specific date other than what I?m able to get on the National Park website. 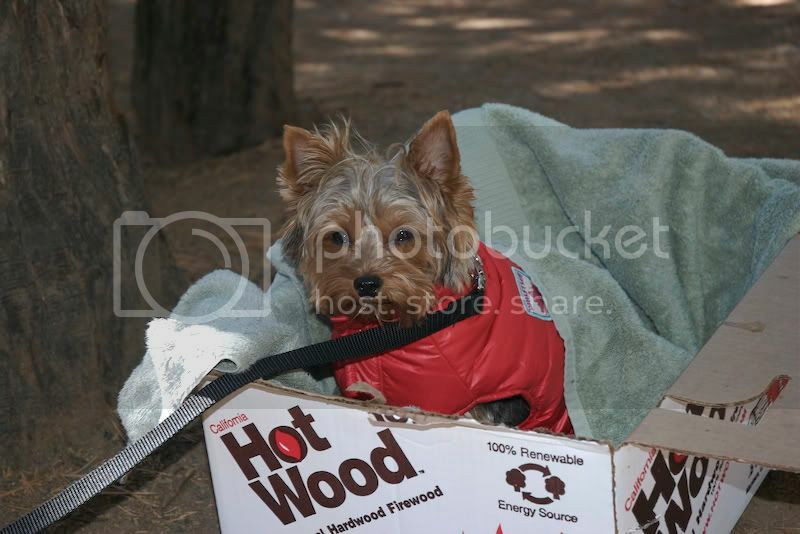 Watch for the 9th Annual Yosemite Trip sometime between May and July of next year. Although Yellowstone became the nation?s first official national park in 1872, the Yosemite Grant, signed by President Lincoln in 1864 to preserve the land for public enjoyment, was an important precedent to Yellowstone, and the eventual Organic Act of 1916 that established the National Park Service (until then, Federal parklands were under the stewardship of the United States Army). Today Yosemite receives over 3.2 million visitors per year, many of them tourists from San Francisco who make the easy 3-hour drive. 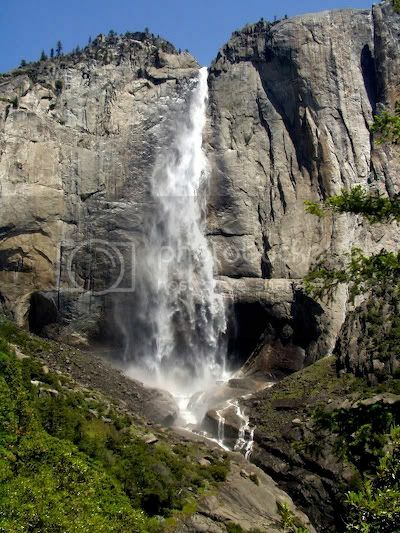 Yosemite?s main attraction is its impressive landscapes, waterfalls and diverse ecology. 20% of the known species in California are found in Yosemite?s 750,000 acres. Yosemite Valley, carved long ago by glaciers, is a world-renowned climbing destination tackling such massive granite faces as El Capitan and Half Dome. 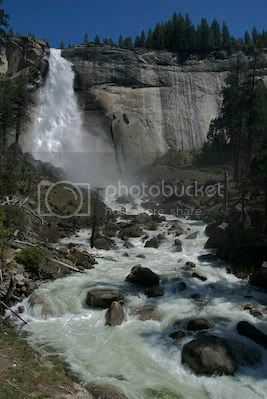 Yosemite?s waterfalls, most notably Yosemite Falls, Bridal Veil Falls, Vernal Falls and Nevada Falls, are tourist attractions in and of themselves. For ideal viewing, go early in April and May to see the falls at their strongest, draining massive amounts of Sierra Nevada runoff. This most recent trip in October saw Bridal Veil to a trickle, and Yosemite Falls was completely dry - quite shocking compared to what I saw earlier in May. 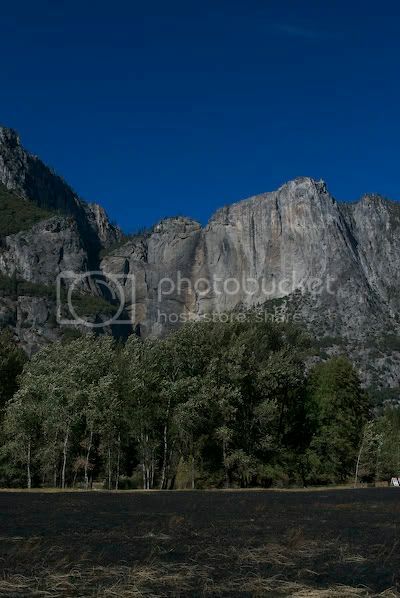 Yosemite Valley and its water figures prominently in the park?s history. 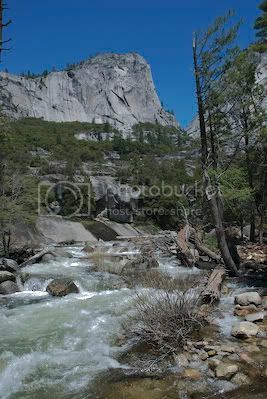 The Merced river, running the length of the valley, is the recipient of falls listed above and carries an enormous portion of the Sierra Nevada snowmelt, a significant source of the State?s water supply. When the Bureau of Land Reclamation proposed building a dam to supply needed water to San Francisco, the uproar from nascent environmental groups was immediate. John Muir, Ansel Adams and the recently formed Sierra Club lobbied hard to preserve the park?s status. 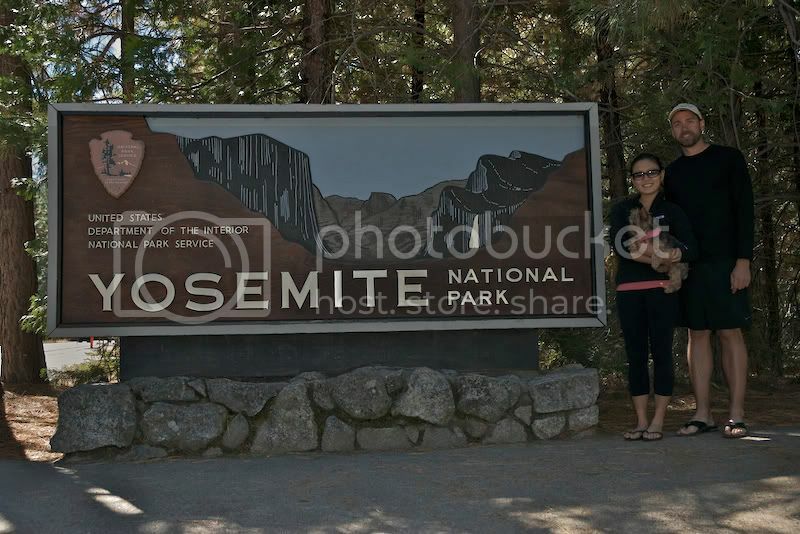 Most of Yosemite?s main attractions are easily accessible from your car along the main Valley Road. 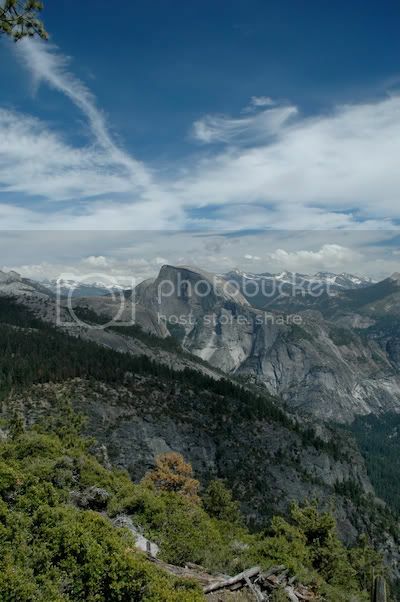 Popular hikes include trekking to the top of Yosemite Falls, the more arduous ascent of Glacier Point and the grand-daddy of Yosemite Hikes, Half Dome. 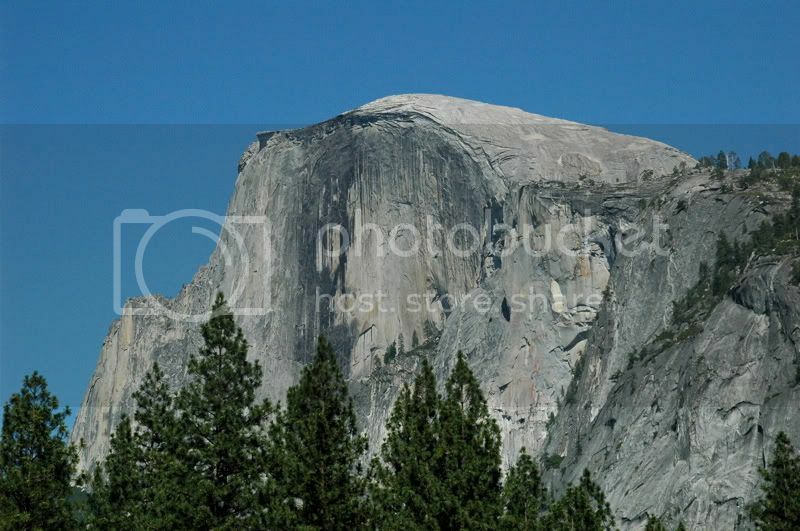 Half Dome, as its name implies, is a massive dome of granite sheared nearly in half by glaciation thousands of years ago. The sheer face is popular for rock climbers, and its probably the most emblematic symbol of the park, featured in photos, park logos and all of the park?s literature. 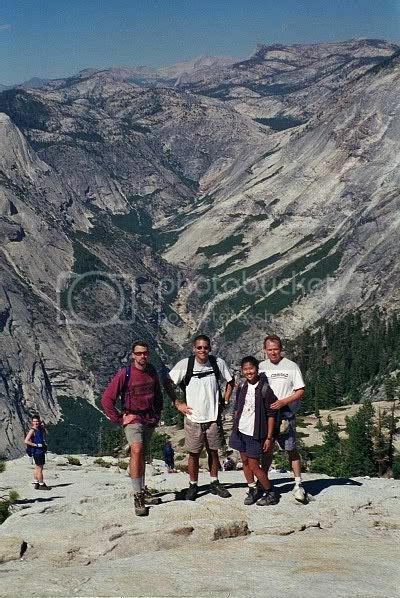 Hiking to the top of Half Dome is an extremely challenging 7.1 mile hike rising 4,800 vertical feet. 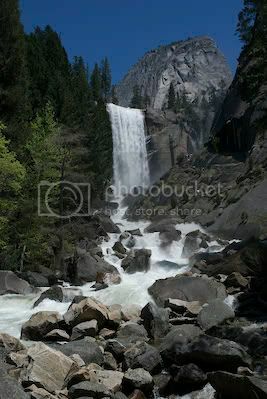 Stops at Vernal Falls and Nevada Falls along the way are often necessary to replenish water supplies and to enjoy the incredible scenery. The final 400 feet of the ascent can only be accessed via a system of cable ladders, with sheer drop-offs in excess of 1,000 feet on either side. On crowded days, its common to pass those coming up or down on the outside of the cable trail, a nerve racking experience to say the least. The views from the top are amazing and the overall endeavor is a satisfying accomplishment, a must-do for any visitor to the park. The cables ladders are assembled in May, around Memorial Day, and are taken down after Labor Day weekend. 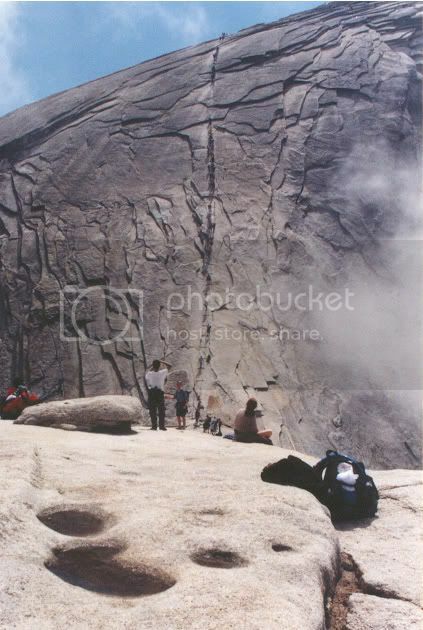 Summiting Half Dome without the cables is ill-advised, if not impossible. I?ve done this climb three times, and plan to do it again next summer. Because of the number of visitors, wildlife is seldom seen near the park?s main attractions. However, in the backcountry and high country, areas such as Tuolumne Meadows, bears, deer and mountain lions are common. The bears in Yosemite are mostly Black Bears (although some are brown, they are still the same species). Central California was, as recently as 150 years ago, the largest grizzly bear habitat in the world. Today most of them have been displaced by agriculture, although some are still spotted in parklands and wilderness areas around the state. What makes the Yosemite bears unique is they are thought to be some of the smartest bears in the world, extremely adept at identifying and accessing human food. Bears have come to recognize coolers, grocery bags and picnic baskets, and have no qualms about destroying a car to get to these items. As a result, all food, toiletries and food containers must be removed from your vehicle and stored in a secure bear locker, a steel-reinforced box designed to thwart bear access. Each year dozens of cars are damaged or outright destroyed by curious bears. Yoggi the Bear, purported to be smarter than the average bear, hailed from Jellystone National Park, an obvious parody of Yellowstone. However, the bears in Yellowstone have not yet learned to destroy vehicles in pursuit of obvious food storage containers. This was a surprise to me visiting those parks earlier this year, as Rangers advised to ensure that all food is ?secured inside your vehicle,? precisely contrary to the advise in Yosemite. Despite my numerous visits to Yosemite, I can say I only saw a bear twice and never a had an incident, though we always take careful precautions. 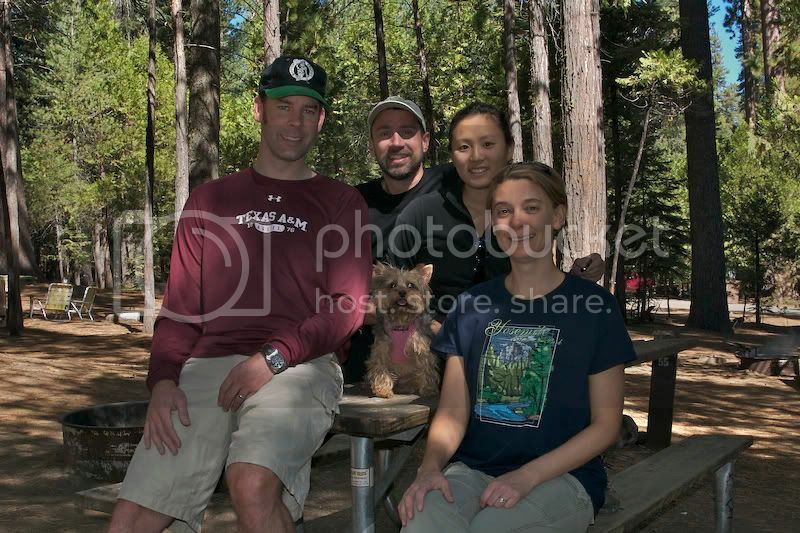 Joining me on this excursion were John McDermott, Carey Carpenter, Jessica Chiang and her dog, Suki. Rangers don?t advise hiking with small dogs, as they attract bears and mountain lions in what can only be described as a rare case of cat eats dog. The weather was terrific for most of the weekend, though we arrived to 36 degree weather Friday evening and intermittent snow. The low was in the mid 20?s, but the rest of the weekend was sunny, warm and pleasant. On your next trip to San Francisco, carve out a day to see Yosemite, and watch for the invite to next year?s 9th Annual Yosemite Trip.